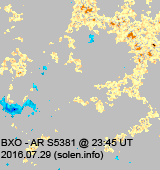 Last major update issued on July 30, 2016 at 05:15 UT. 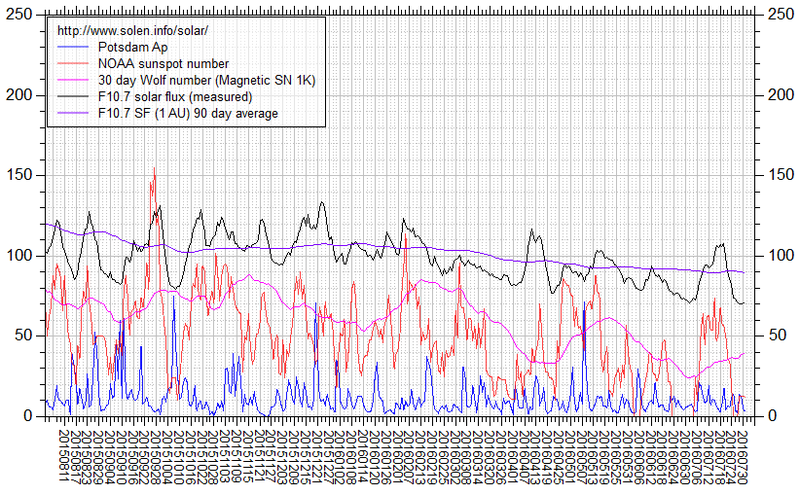 The geomagnetic field was quiet to unsettled on July 29 under the influence of effects from CH752. 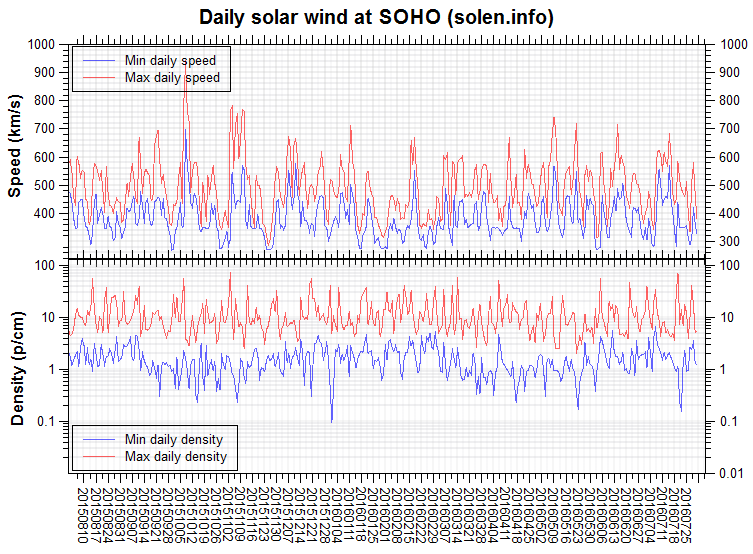 Solar wind speed at SOHO ranged between 417 and 575 km/s. 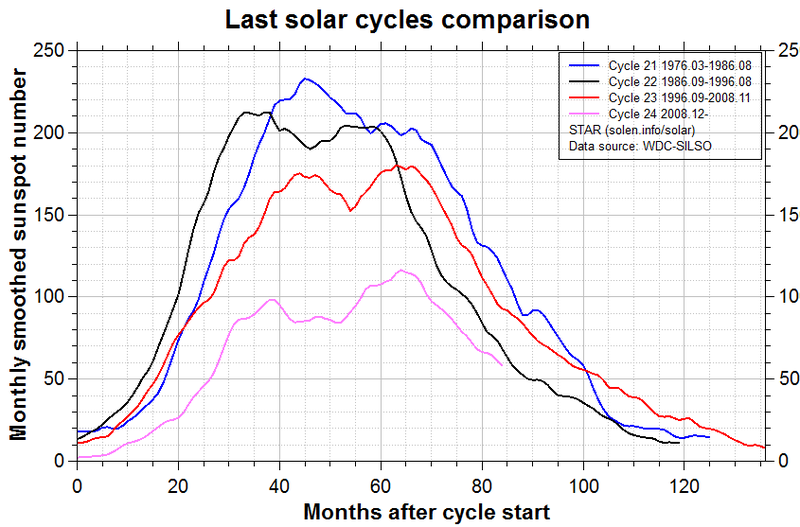 Solar flux at 20h UTC on 2.8 GHz was 70.5 (decreasing 0.4 over the last solar rotation). 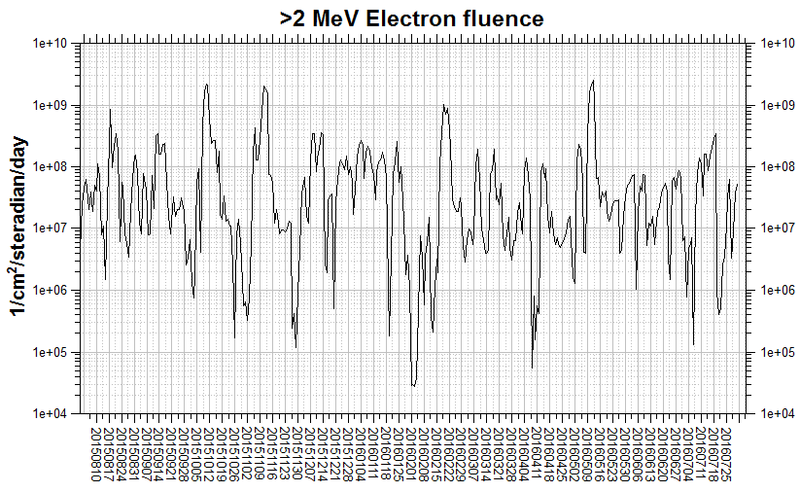 The 90 day 10.7 flux at 1 AU was 89.9. 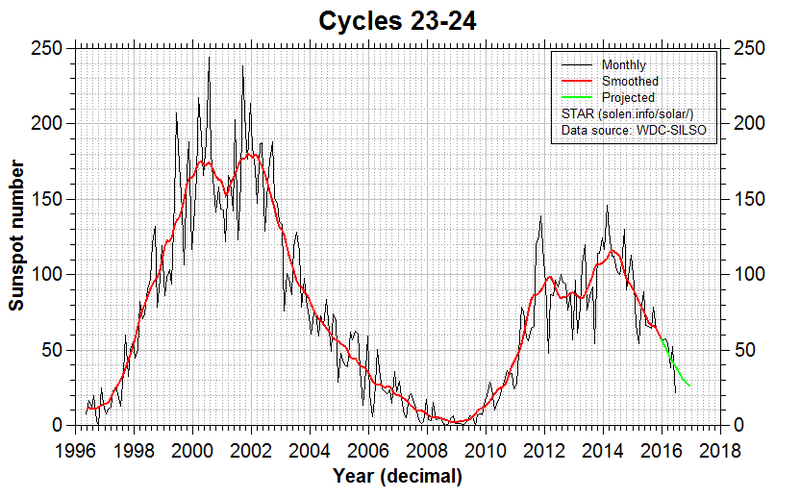 The Potsdam WDC planetary A index was 13 (STAR Ap - based on the mean of three hour interval ap indices: 12.6). 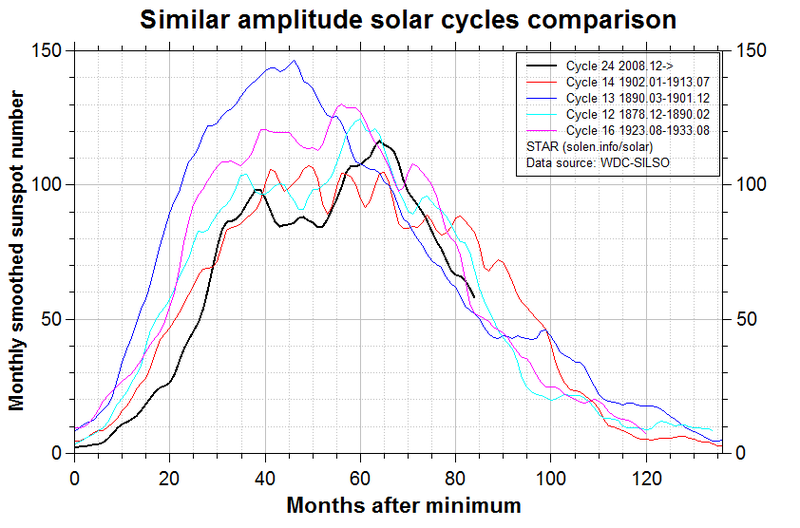 Three hour interval K indices: 33332231 (planetary), 45342321 (Boulder). 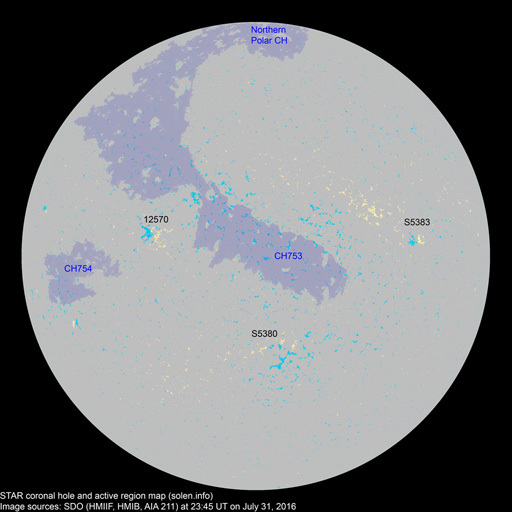 At the time of counting spots (see image time), spots were observed in 4 active regions using 2K resolution (SN: 68) and 4 active regions using 1K resolution (SN: 55) SDO images on the visible solar disk. Region 12570 [N10E52] was quiet and stable. S5380 [S17E23] decayed slightly and was quiet. S5381 [N16W02] gained a trailing polarity spot and was quiet. 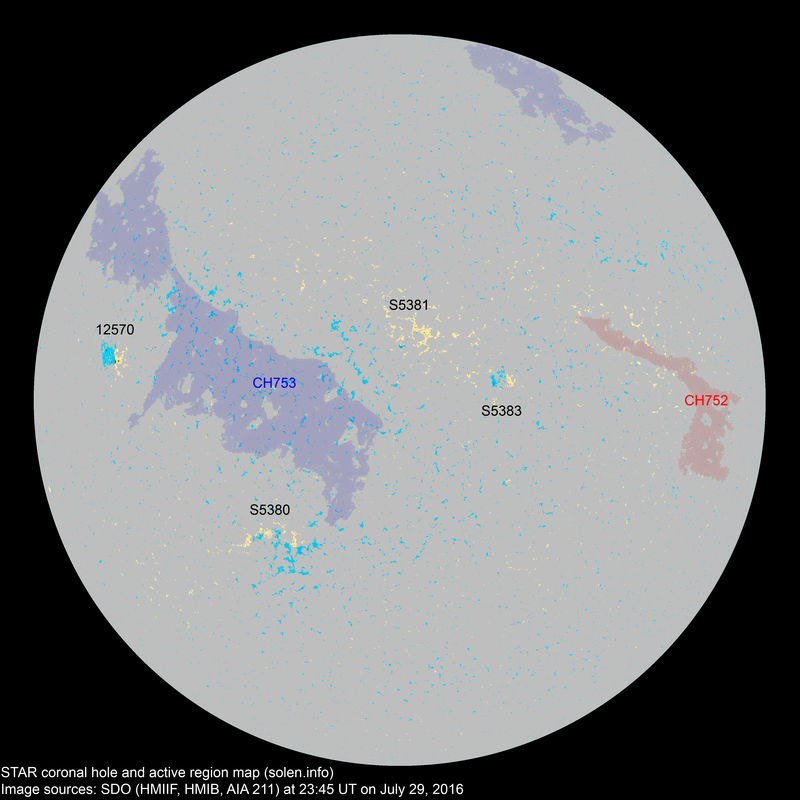 New region S5383 [N08W16] was observed with tiny spots. 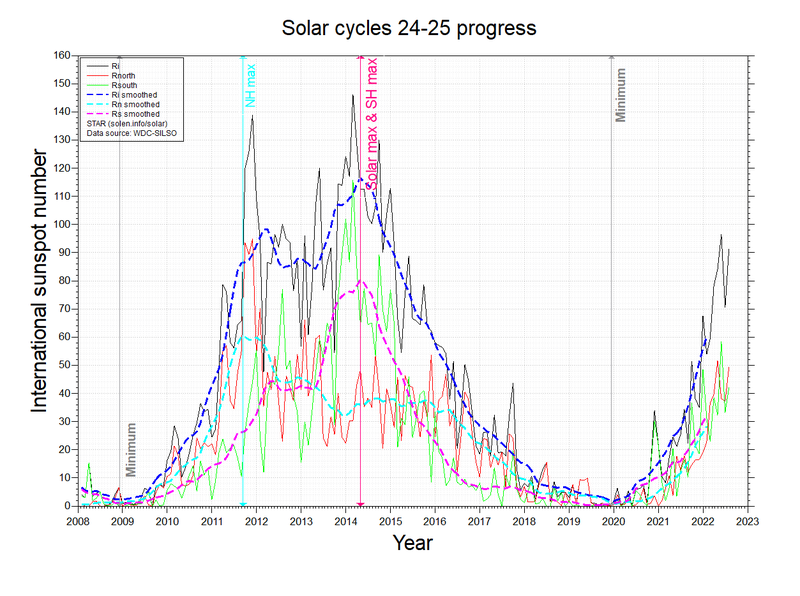 July 27-29: No obviously Earth directed CMEs were observed in available LASCO imagery. A large recurrent trans equatorial coronal hole (CH753) is likely to rotate into an Earth facing position on July 30 - August 3. 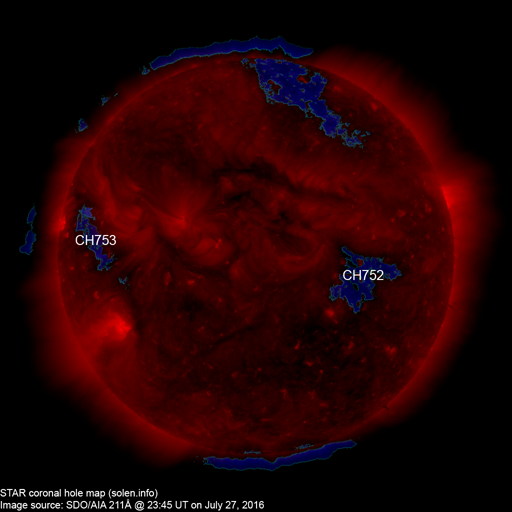 The geomagnetic field is expected to be quiet to unsettled on July 30 due to effects from CH752, quiet conditions are likely on July 31 and August 1. August 2-7 could see quiet to minor storm conditions due to effects from CH753.